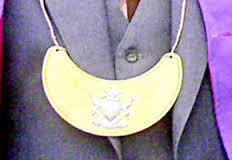 MASVINGO-The restored Bere Chieftainship is set to have its first Chief Bere, Phanios Tafirei. Tafirei will be inaugurated next week Tuesday, April 16, 2019 at Bere Secondary in Mashava. A letter in position of The Mirror confirmed the inauguration ceremony which will be officiated by Minister Chadzamira.